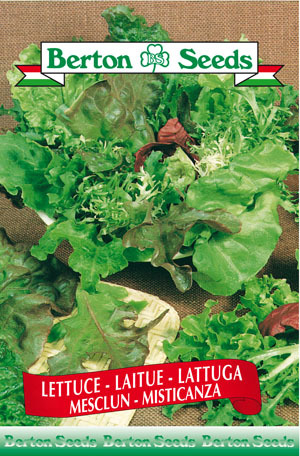 A mixture of various types of salads including lettuces, endives, chicory and arugula. This mixture is appealing both to the eye, because of the colour differences and textures, and the palate, due to the varied taste sensations. Sowing instructions: Plant seeds 0.5 inches deep from April-September. Harvest from June-October in succession as growth reaches 3 inches in height.